Do Your Athletes Have Pre-Game Jitters or Anxiety Before Games? Pregame jitters are a common source of anxiety for players. Keep in mind that the jitters are different than performance anxiety or fear. Your sports kids may feel some completely normal pregame jitters when the natural adrenaline kicks in… They are excited about the upcoming competition. Excitement can easily be mistaken for anxiety, especially if your sports child has a history of getting nervous during games. Their memory of these nerves hurting their performance in previous matches may cause them to mistake adrenaline for anxiety, which will only cause more anxiety. This type of anxiety can undermine a strong, confident performance. 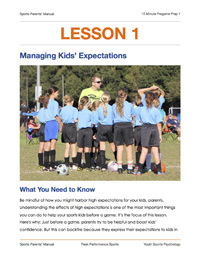 An anxious player will be unfocused, unassertive, play tentatively and will not have fun. It’s important that you help your sports children frame their pregame jitters as just that, pregame jitters, and nothing more. 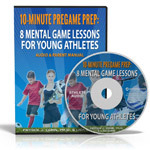 The first thing to do is let your sports children know that pregame jitters–butterflies in stomach, higher heart rate, sweaty palms, etc.–are completely natural and are a natural reaction to help them perform well. 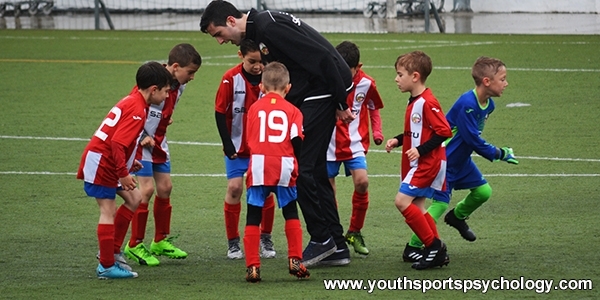 Studies have shown that anxiety reappraisal—when kids tell themselves that their pregame jitters is actually excitement—is a very effective method for embracing their feelings before competition. If you can help your sports kids start viewing these pregame jitters as a positive, they will actually work for them instead of against them. When they start thinking of the feeling as “pumped up” instead of anxious, they can use the energy to take their play to another level.